Wake up calls by the migratory birds woke me up in the morning. 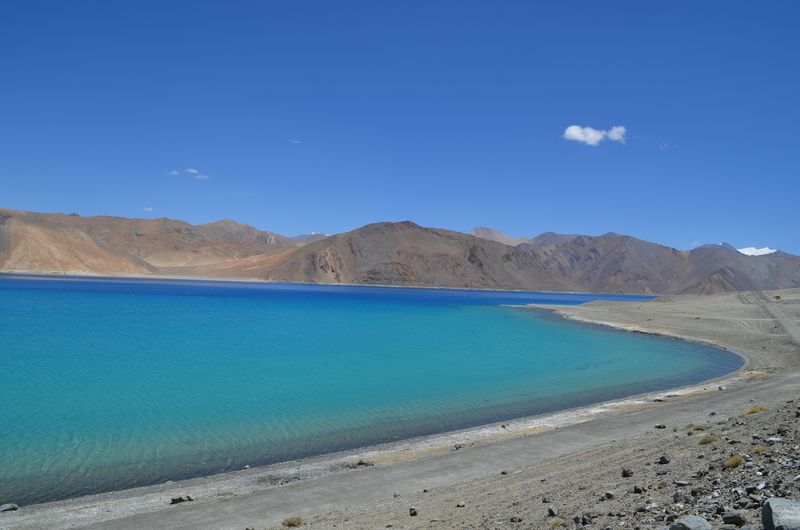 We discovered the myriad colors and shades of Pangong lake. 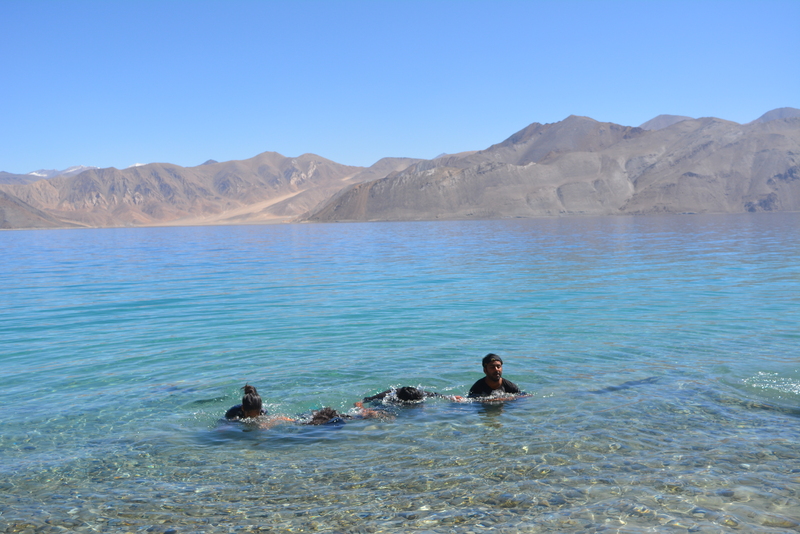 Before reaching Pangong everybody claimed they’ll take a dip in the lake. After we reached and realized how cold the water was, more than half the people backed out. 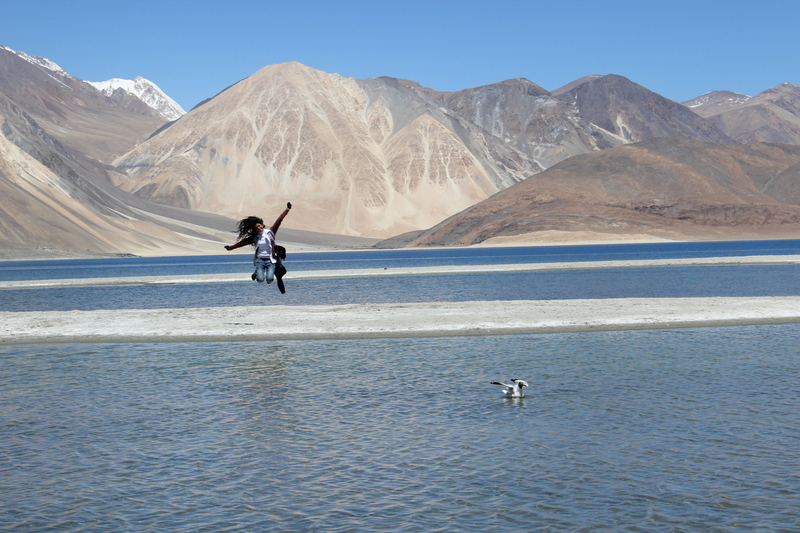 There were only a few of us that took a dip in the Pangong lake. 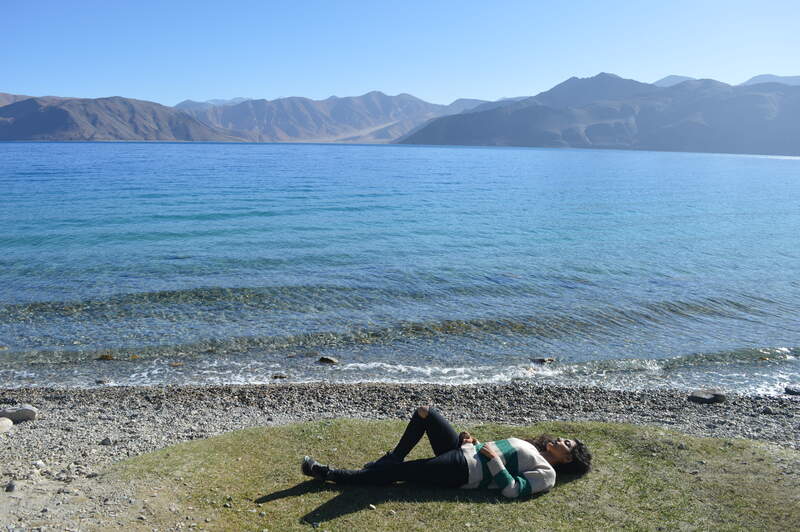 At this point I reminded myself, I may never come to Ladakh again and I was already upset by the fact that the trip was about to end. So I made my mind to take a dip. There are some things which cannot be discussed or described in words. After my dip, I quietly sat there. Staring into the vast nothingness of the lake and enjoying the cool breeze. 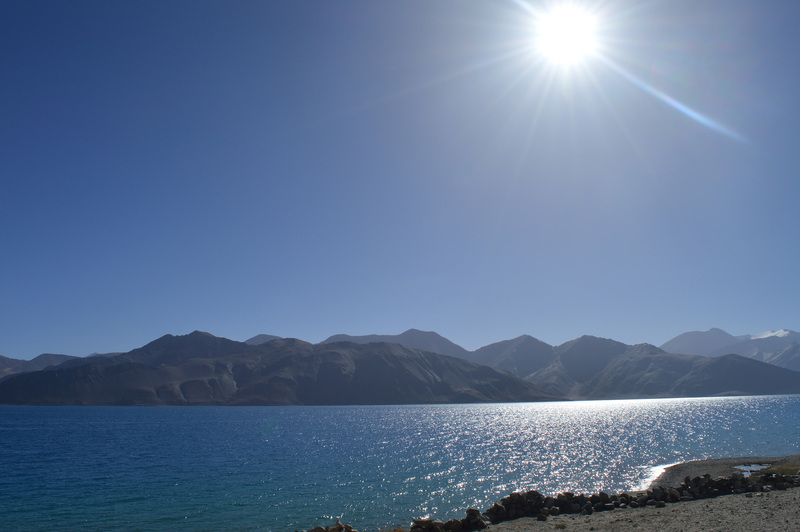 The Pangong Tso is well known for changing it’s color into different shades in a couple of minutes. It’s calm, azure waters surrounded by rusty brown mountains is what wallpapers are made of. It was pure bliss. We left for Leh at 11 am with an intent of reaching by evening. 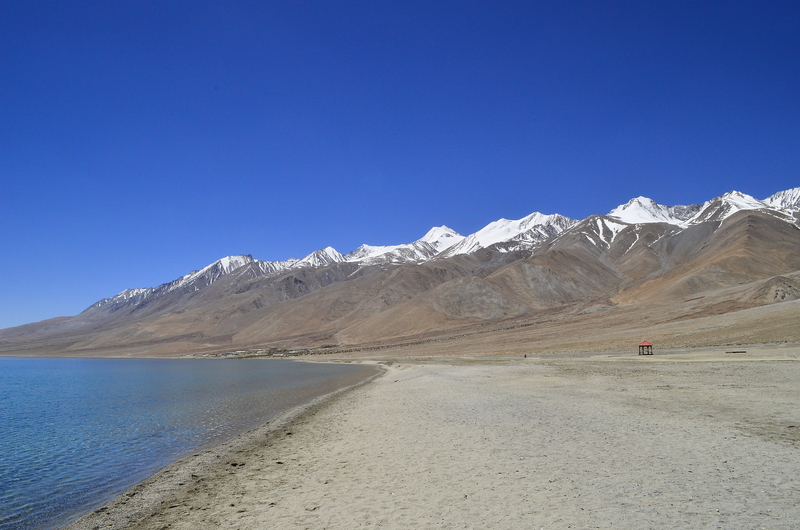 On our way back to Leh, we stopped by the famous ‘3 idiots point‘, where the last scene of the movie was shot. 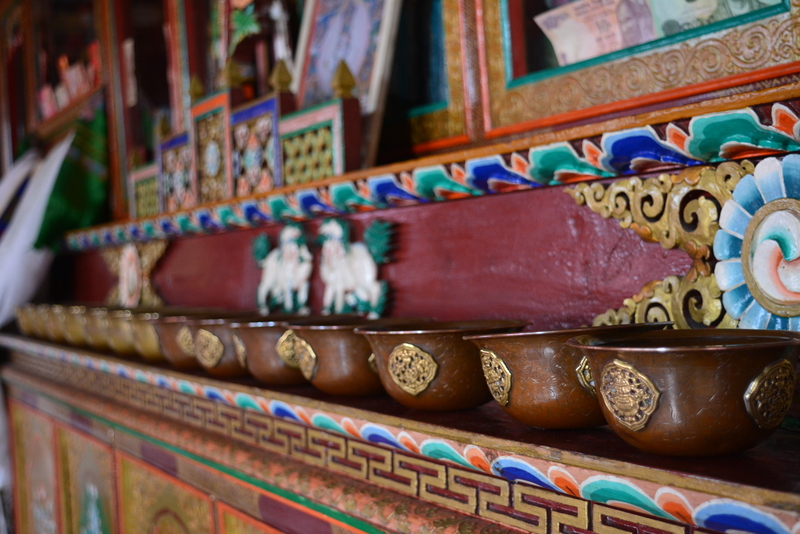 Next we stopped at Thikse Monastery. A fine example of Ladakhi architecture, this monastery is popped up on a hill in a layered manner unique to Tibetan engineering. 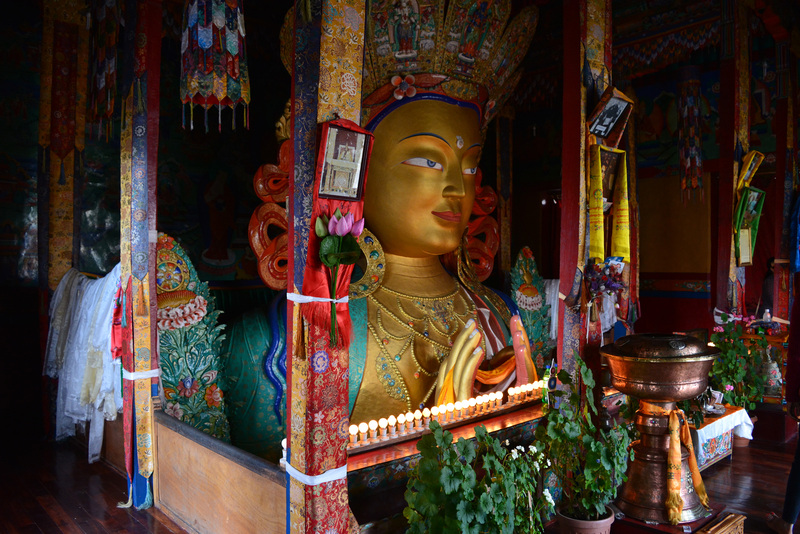 The Gompa boasts of a 14 m high statue of Lord Buddha, whose countenance is both serene and mysterious all at the same time. On our way back, people kept waving at us and we waved them back. It was so amazing. I mean, why is it so different in our cities? We reached Leh late in evening and since all of us were craving for good non-veg food we explored the city for a while and came across a restaurant called The apple tree in the market. It had amazing non-veg food. We had to leave for Srinagar at 2 am on the same night to avoid getting stuck at Sonamarg. So we didn’t sleep at all instead we were reminiscing the memorable 8 days we had. 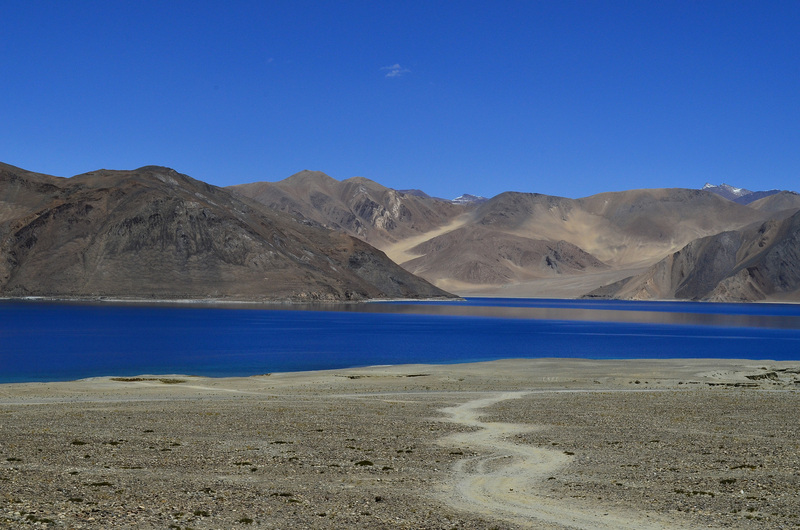 The journey to Srinagar took 14 long hours marking the end of our incredible Ladakh trip. 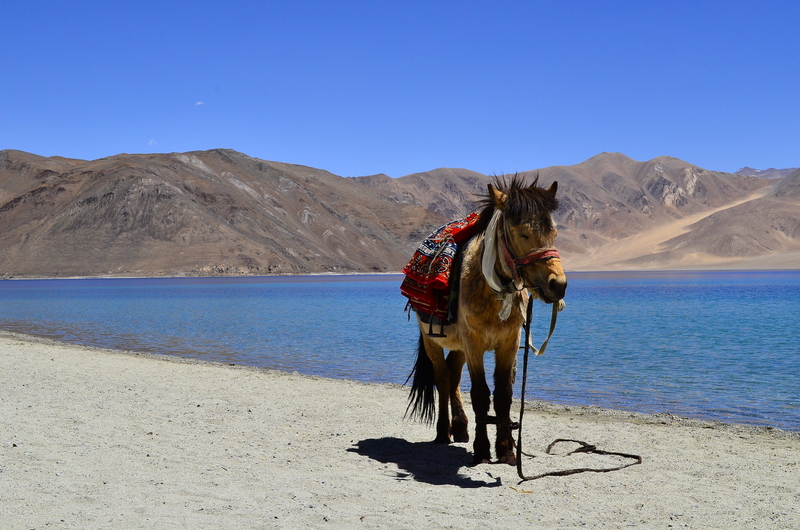 As my flight took off I felt lighter maybe that was because I left a part of me in Ladakh. He is the guy who made me fall in love with traveling. He made me realize that age is not a barrier to connect with people. He made me get out of my comfort zone and made me feel comfortable. He is not just a ‘tour guide‘. He’s a friend, a mentor, an advisor. This trip would not have be possible if it wasn’t for Captain Nero. If I could, I would go on all of his trips. I am so glad that I decided to go on my first solo trip at the age of 17 to Bhutan with ‘This Guy’. 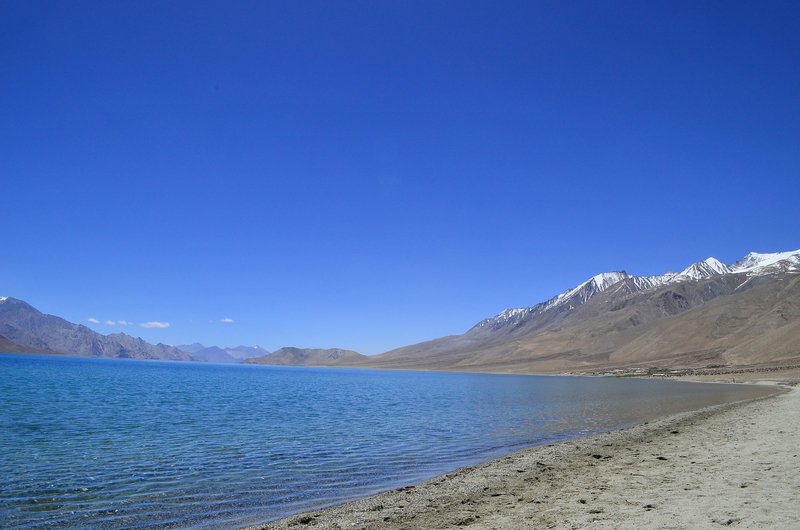 This ends my Ladakh trip but I hope there will be many such memorable trips. Hi Pooja, simply loved the pics. The lake is so alluring that i had to remind myself of reading your experience! Thanks for sharing. Lovely pics with beautiful you. Pooja, loved the way you described your journey.